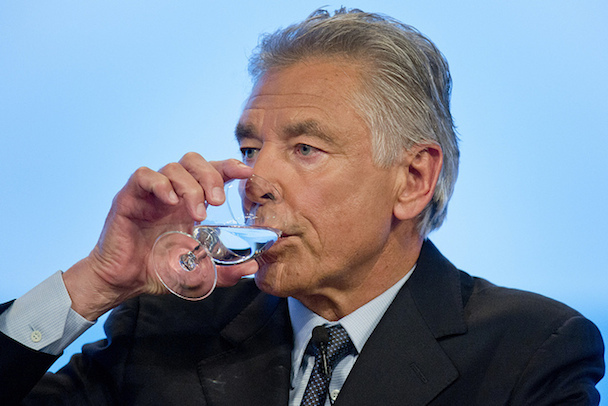 Across the globe, Nestlé is pushing to privatize and control public water resources. 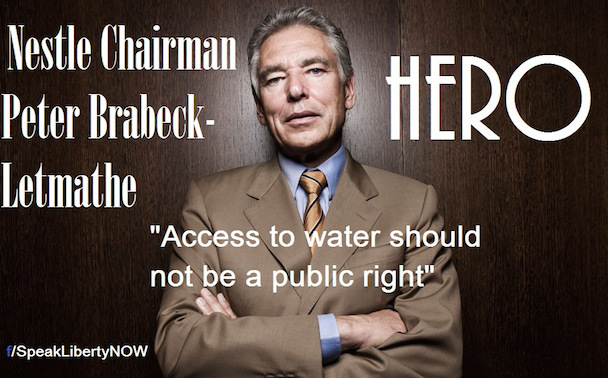 Nestlé’s Chairman of the Board, Peter Brabeck, has explained his philosophy with “The one opinion, which I think is extreme, is represented by the NGOs, who bang on about declaring water a public right. That means as a human being you should have a right to water. That’s an extreme solution.” Since that quote has gotten widespread attention, Brabeck has backtracked, but his company has not. Around the world, Nestlé is bullying communities into giving up control of their water. It’s time we took a stand for public water sources. 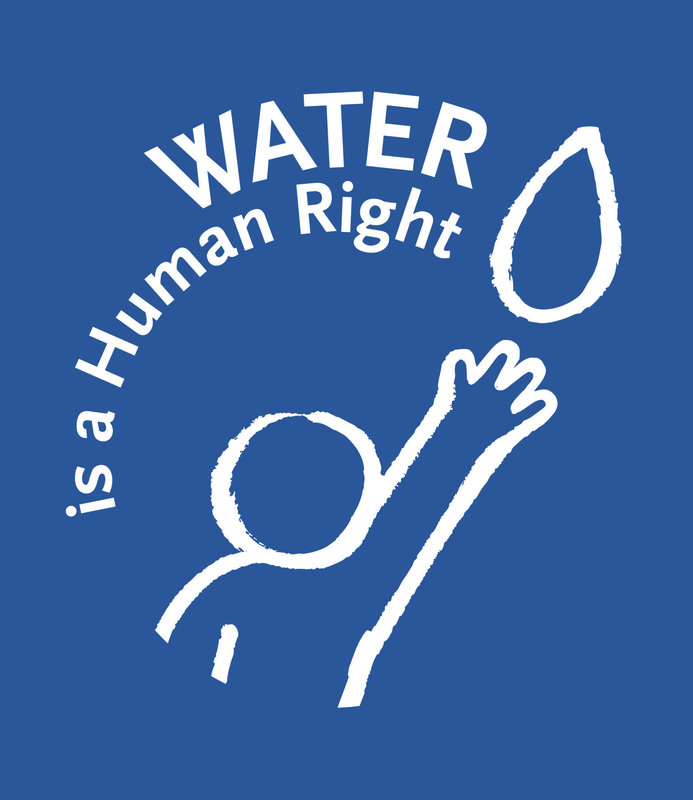 Tell Nestlé that we have a right to water. Stop locking up our resources! At the World Water Forum in 2000, Nestlé successfully lobbied to stop water from being declared a universal right — declaring open hunting season on our local water resources by the multinational corporations looking to control them. For Nestlé, this means billions of dollars in profits. For us, it means paying up to 2,000 percent more for drinking water because it comes from a plastic bottle. Now, in countries around the world, Nestlé is promoting bottled water as a status symbol. As it pumps out fresh water at high volume, water tables lower and local wells become degraded. Safe water becomes a privilege only affordable for the wealthy. In our story, clean water is a resource that should be available to all. It should be something we look after for the public good, to keep safe for generations, not something we pump out by billions of gallons to fuel short-term private profits. Nestlé thinks our opinion is “extreme”, but we have to make a stand for public resources. Please join us today in telling Nestlé that it’s not “extreme” to treat water like a public right. 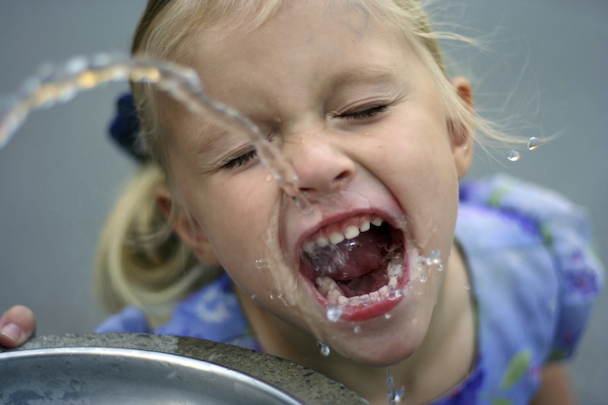 Tell Nestlé to start treating water like a public right, not a source for private profits! ( By Peter Brabeck from Storyofstuff.org ) Sign the pettition at the link below.